Men and women are more conscious about their weights before the time of marriage. They want to look good and want to look attractive in their physical appearance. Women want to look great in their lengha or a sari during wedding and men in a black suit or a dhoti or sometime lungi etc. Then have you done anything to look attractive; if not, it’s still not too late. You people both men and women considerably can get back to your normal position by following certain tips that I’m going to discuss. The below are few of the weight loss tips before marriage for both men and women. You want to look good in your wedding attire, then follow these simple and best tips. People are so hungry that they can’t resist themselves to eat more as if like they’ll be nothing going to have after their meal. Why so? Because of your high content of eating leads to digestion problems, issues with your stomach, fat content start to pile up in your body and many more other issues which will cause you sick as a parrot or a dog. Don’t stop eating, but make sure you eat in certain defined quantities that fill your empty roaring stomach. This helps you in proper digestion and makes you stay healthy. Sweet might be everyone’s favorite, but eating in limited quantities is important. Sugar is a carb food where it turns into fat at an earlier stage. It has strong link with obesity, weight gain and diabetes. So there is no doubt that is leads to weight gain. So, I strongly advocate and suggest both men and women to consume less amount of sugar or “no sugar”. A proper exercise will help you to shape up your physical body and they’ll be proper functioning of the body. It also increases the charm of your skin and makes you in looking young and energetic. A 30 min walk or jog and a proper aerobic exercise will help you out in shedding your weight levels. Workout until you sweat that the only policy to be followed. It also helps in reducing your stress levels and makes you day go smooth and clean. Both men and women drink in other countries other than India. It’s most common these days to have booze at the parties or weddings in countries like US and other EU countries. You reduce drinking alcohol before wedding and save your calories for the special occasions coming up and sip it instead of water. 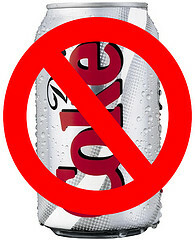 Make sure you make it a habit to consume more amount of water regularly, avoid drinking diet cokes or soda instead. Daily consumption of water in good amounts will help you in getting rid of toxins. The base number is 8 -9 glasses a day for both men and women depending upon you weight. Both your eating sessions and gym sessions or exercise sessions should go hand in hand. If you keep on eating without exercising leads to increase your fat levels in your body and beneath your belly. Eat regularly and have 3 full meals a day or 6 mini meals day. Eat in proper contents and don’t eat junk foods or oily content which disturbs your stomach as well as your body. An apple a day keeps you away from the doctor reflects here. In the same way if you want yourself to stay fit and look fresh with all requirements of acids in your body will help you to look healthy. Not having a proper amount of fruits and green leafy vegetables will succumb to health diseases and makes you conscious levels decreases, they’ll be no proper calories in your body that is required and you’ll fall sick more often. HOW WORKING OUT AFFECTS YOUR HORMONES?